What I don’t like is that a lot of people think that TypeScript solves a problem that it doesn’t actually solve — at least, not to any significant degree. The famous marketing rhetoric is “large-scale web applications are hard without static types”. It’s true that static types power some really great developer tools such as jump to definition and automatic refactoring, and those tools feel like they make us more productive. (And may actually make us more productive, we need more study on the real benefits of static types). But many people believe that static types help you reduce the number of bugs that get into the application. It’s undeniably true that static types catch a significant subclass of bugs, but is it really true that static types reduce over-all bug density? In fact, I’m not aware of any empirical evidence that static types have a strong impact on bug density. So in spite of the cool developer tooling they enable, static types don’t actually help reduce over-all bug density by very much. Why? A lot of other ways to catch type related bugs. 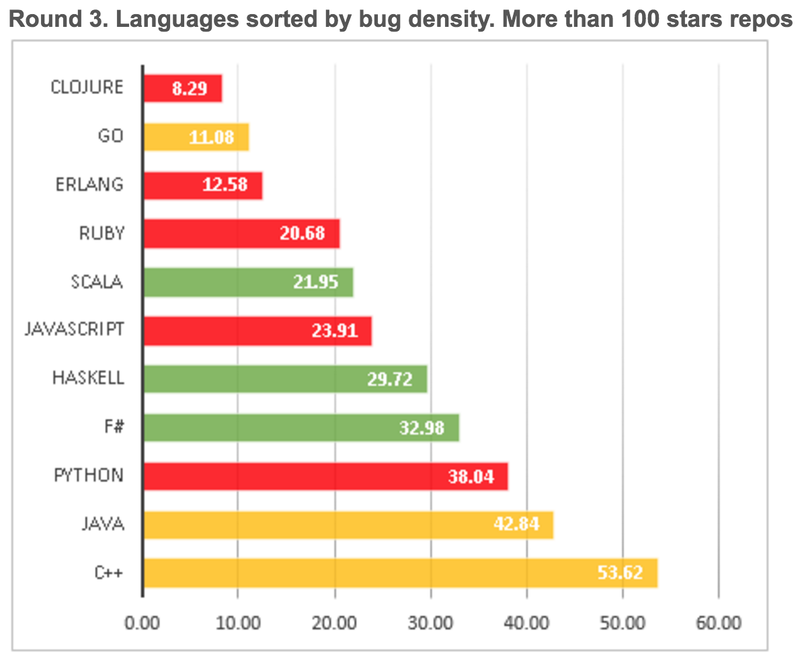 So What Really Does Reduce Bug Density? Test Driven Development (TDD). Specifically, test-first methodology. Some good studies have been conducted on the effects of TDD. There are several good meta studies, and the famous study from Microsoft, IBM, and Springer. The Springer study showed 40% — 90% reduction in bug density relative to similar projects that did not use the test-first practice. Many other studies have found similar results, comparing test-first to test-after, and no tests at all, with impressive reductions in bug density for test-first (which fares significantly better than test-after) mostly falling in the range of 40% — 80%. In other words, TDD can effectively cut your shipping bug density in half, and there’s plenty of evidence to back up that claim. Should You Give TypeScript a Try? You still may want to use static types, but if you’re going to opt into static types, do it because of the cool benefits they really do provide, and not because of their supposed bug-catching abilities. I worry about building up a large codebase using TypeScript, only to have the ECMAScript spec introduce conflicting keywords and type features such as `interface` and `implements`. You probably don’t have that concern, but your codebase still needs to be easy for other developers to learn and contribute to, and you as an individual need to be able to adapt if you join a team that doesn’t use TypeScript. Some tools are worth the tradeoffs. It’s not right for me right now, but maybe you’ll like it. If you haven’t experienced Microsoft’s Code IDE paired with TypeScript, it’s worth kicking the tires. You might fall in love. But when it comes to other features, static types are still cool, and may still be worth using. You want to reduce bugs? Use TDD. You want useful code intelligence tools? Use static types. Want to sit shotgun with me while I build real applications using TDD?